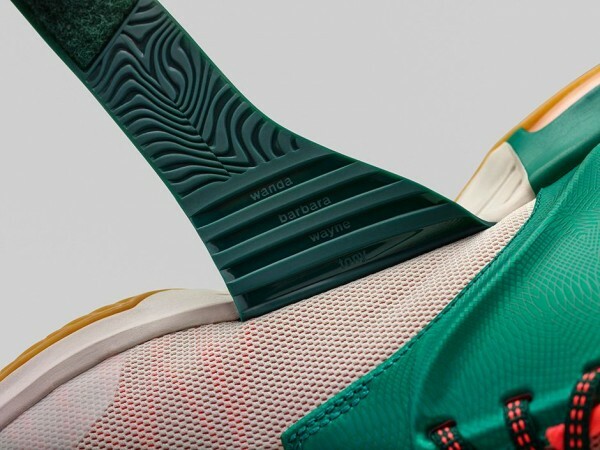 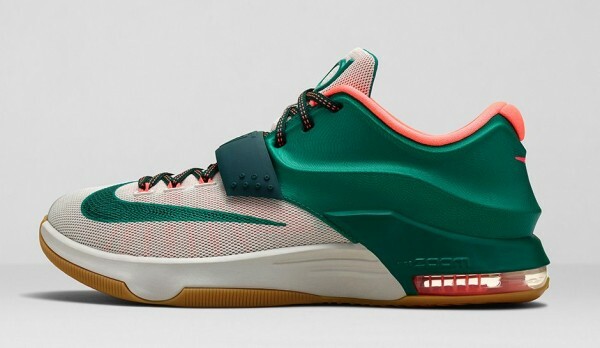 Fresh off the official unveiling of the first (35’000 Degrees) colorway of Kevin Durant’s seventh signature sneaker the KD7, Nike Basketball keeps the new color renditions flowing in, now gearing up to release the KD 7 “Easy Money” – which pay respect to Durant’s childhood basketball nickname. 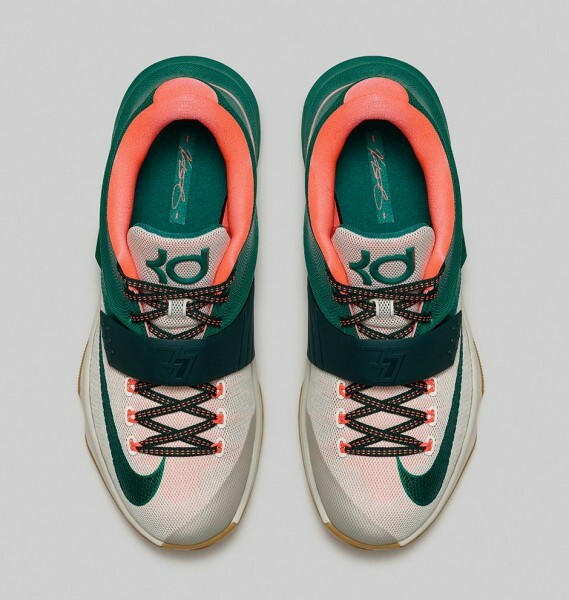 The “Easy Money” colorway draws inspiration from the $100 dollar bill and the electricity man Benjamin Franklin; featuring a predominately white/green upper with bright pink accents throughout key areas of the shoe, all topped off by gum soles. 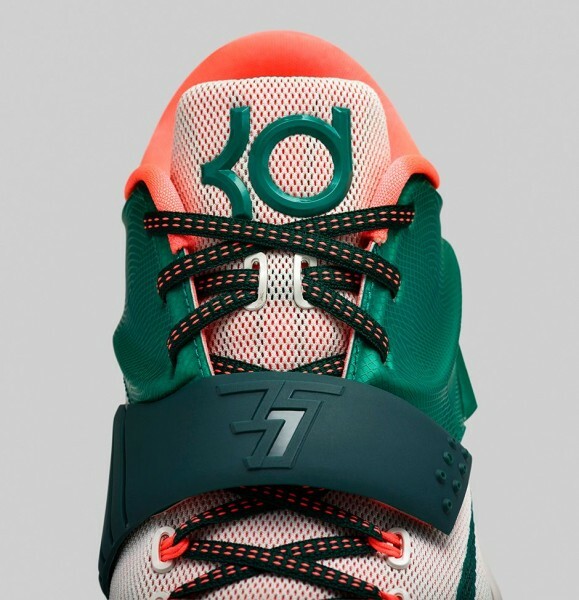 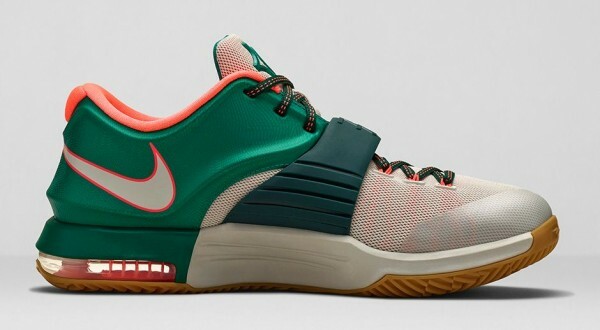 The Nike KD 7 “Easy Money” colorway will be available September 10th at all Nike retailers and also over at the brands online shop.